Classic Albarino--clean, ample, and mineral. Love--love with grilled shrimp. From the importers mouth( David Bowler Wines): Benito Santos is a central figure in the modern history of Albariño and the Rías Baixas D.O. He began working in his grandfather’s vineyards in the 1930s and made wine for serving in his bar – wines that repeatedly won prizes in the annual Fiesta de Albariño in Cambados. 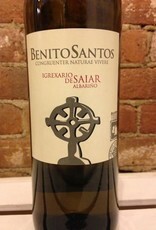 He was instrumental in the creation of the Rías Baixas D.O. in the 1980s. 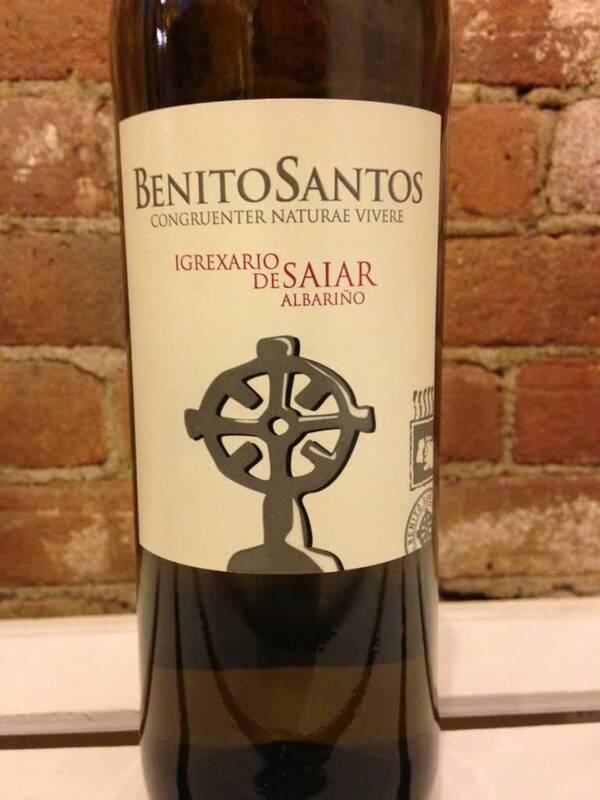 The current owners now farm three vineyards in the Val do Salnés subzone of Rías Baixas, each of which is next to and named after an ancient church: Saiar, Bemil, and Xoan. All of the vineyards are now certified organic – a rarity in rainy, mildew-prone Rías Baixas – and winemaking uses only native yeasts and minimal sulfur. Benito Santos wines are salty, mineral, and structured, with ample fruit but none of the overly tropical flavors of many industrially-produced Albariños.